With over 30 years in business, Saffron Investigations is South Florida’s premier private investigation firm, and we are pleased to lend our expertise to businesses and individuals throughout Coral Gables and the surrounding communities. 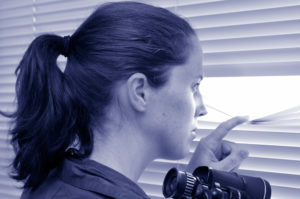 From domestic investigations and employee background checks to computer forensics and fraud investigations, our private detectives have experience with the entire scope of private investigations, as well as in-depth knowledge of their specific legal requirements. In fact, our exceptional team of private investigators have earned a reputation as dedicated industry professionals who are committed to working with clients to develop investigation strategies that address their individual needs and goals. Whether you are putting together a case and need evidence to present in court or just want answers to your questions, the private investigators at Saffron Investigations are here to help. Personal or professional, whatever service brings you to us, you can be assured that our fraud investigators and experienced private detectives will handle your case quickly and confidentially. If you are searching for the right private investigators to handle your Coral Gables case, there are a few things you need to consider. First, does the agency have experience working with your particular type of investigation? Second, do they have established connections in Coral Gables and a thorough knowledge of the area? Finally, do they utilize the latest technology and ethical practices to ensure any evidence collected will hold up in court? While many agencies may offer private detective services, few have the hands-on experience, technology, and knowledge that you will find at Saffron Investigations. We have served clients in and around Coral Gables for over 3 decades. So you can be confident that we have what it takes to quickly follow up on leads, collect evidence and set up surveillance. From the University of Miami to Matheson Hammock Park & Marina, The Biltmore to Coral Gables Waterway, our private detectives can handle investigations anywhere in the Coral Gables area. So whether it’s a marital investigation near the Miracle Mile or an insurance fraud investigation at the Granada Golf Course, we have your complete Coral Gables private investigator solution. At Saffron Investigations, our investigators utilize the latest technology, providing you with fast, thorough results, whatever the size and scope of your investigation. Are you looking to bring your case to court? In order to build a solid case, all evidence must be legally obtained and meet specific criteria. While your online research may point you in the right direction, the online evidence you’ve obtained through your own methods may not be admissible in the court of law. That’s why you need the help of a seasoned professional like Saffron Investigations. When you work with our detectives you can be assured that all evidence we collect is verifiable proof that will hold up in court. From Alhambria Circle to SW 40th Street, Granada Boulevard to University Drive, wherever your Coral Gables investigation takes us, whether it’s a personal injury case or computer forensics investigation, Saffron Investigations is the only name you need to know for professional, confidential and ethical private investigators. So, don’t trust your private detective needs to just anyone, when you can work with the experts. Contact us today to get started on your Coral Gables investigation, and let us put our expertise to work for you!